There are so many things to maintain in your home that it can feel like a full-time job! Don’t worry, the team at Dalton Plumbing, Heating, Cooling, Electric, and Fireplaces is here to help. Our expert technicians are standing by to take care of any issue in your home, including your air conditioner tune-up in Cedar Falls. At Dalton, we want our customers’ hard-earned dollars to work for them. That’s why every service we offer is completely comprehensive, so you can get the most bang for your buck. Here are just a few things that come with your air conditioner tune-up. What Comes with Your Air Conditioner Tune-Up? Lubricate Moving Parts. Ensuring all pieces of your unit are properly lubricated will prevent wear. Even better, it will prevent your system from overheating, the typical cause of a mid-season breakdown. Test Refrigerant Levels. Another common cause of overheating stems from a unit running low on coolant levels. Low levels can also indicate there is a leak, which requires maintenance as quickly as possible. Test Starting Capabilities. We suggest having your air conditioner tuned-up before the heat of summer sets in. That way, the Dalton technician can ensure your unit is starting correctly and running efficiently. Tighten Electrical Connections. As with lubricating parts, tightening electrical components will help your system run smoothly. Additionally, it will prevent safety concerns — like electrical fires — when promptly taken care of. Check & Replace Air Filters. Air filters should be regularly replaced to ensure your unit is functioning properly and not spreading dust throughout your home. Remove Dust & Debris. Your A/C technician will help keep your unit clean, including the condenser coils, evaporator, and other key components. We will remove all built-up debris to prevent overheating and decreased efficiency. Clean Dryer Vent. Cleaning your dryer vents is a quick and easy way to prevent fires in your home. Examine Safety Components & Proper Venting. During your tune-up, our technicians will inspect the electrical components, wiring, plugs to ensure your cooling system is free of frayed wires, loose electrical connections or any other safety concerns. Apply Protective Coatings. At Dalton, we take safety very seriously. We elevate the standard of fire prevention by applying non-conductive coatings to the electrical components. Calibrate Thermostat. Thermostats can lose their calibration season to season. Dalton technicians will readjust the settings, as needed, to make sure your unit is cooling your home to the correct temperature. Measure for Proper Volts & Amps. We will test the volts and amps of your air conditioner to determine the amount of energy your unit consumes. If the compressor is operating normally, the unit should consume what is called the Rated Load Amps or RLA. Check Blower Speed. Another key way to test your unit for functionality is to check the blower speed. If the speed is low, it could mean there is a bad blower resistor, or there is a problem with overheating or ventilation. Are you ready to schedule your air conditioner tune-up? Or, do you want to take peace of mind to another level with a Complete Home Comfort Membership? Dalton Plumbing, Heating, Cooling, Electric, and Fireplaces is just one call away! Book your service now by calling (319) 266-3513. The three main important criteria to consider when choosing a heating and cooling company are license, insurance and experience. Jobs involving the heating and cooling of any structure can get quite complex and should be taking seriously. There are secondary criteria that can be acknowledged, but these 3 are what ensure that the job is done right the first time around. This article will illustrate why they are important from the home and business owner’s perspective. When a business or home owner is able to get away with hiring a non licensed and accredited company or individual to do a plumbing job satisfactory, is not usually the same for heating and cooling. This aspect of the home is usually quite complex, and if the home or business owner doesn’t think responsibly, the possibility of having a the incident reoccur or left incomplete is highly likely. When choosing the right company for your heating and cooling job, a home or business owner should probe the company’s website and verified that they possess the required license and accreditation. This should be done prior to confirmation with that particular company’s hiring. This is also another area that will go unrecognized by a home or business who are in need of emergency heat and cooling repairs made to their building. An inexperienced worker could cause extra damages or incomplete repairs to a heating and cooling system. 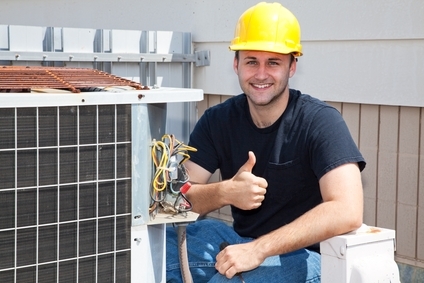 It takes many years of training and practice to become a specialist in the HVAC industry. Hence, a low price should not be the main criteria what choosing a heating and cooling specialist. If this is done, it could end up costing the home or business owner much more that they bargained for in the long run. This is also an overlooked, yet important aspect when choosing the right heating and cooling company to do the job. Even though the job might seem simple, the fact that employees are working amongst highly pressurized pipes and line, the homeowner should ensure that company has insurance. This insurance should cover both the heating and cooling specialist and the residents/employees of the structure, if an unexpected incident of injury should arise. Allowing a HVAC company without insurance to work for your home or business can be quite risky. If a faulty workmanship should damage the workman or anyone else on your property, you stand the chance of getting sued by these individuals. We want to make sure our Cedar Falls customers are happy, so leave the heating and cooling projects up to Dalton Plumbing, Heating & Cooling Inc. Don’t delay and call (319) 266-3513 today!